A mounting system whereby the parts are secured together with flatlock seams, favouring a tight fit and preventing chafing.Thus a more aesthetic result is achieved and the overall weight of the shoe is reduced. 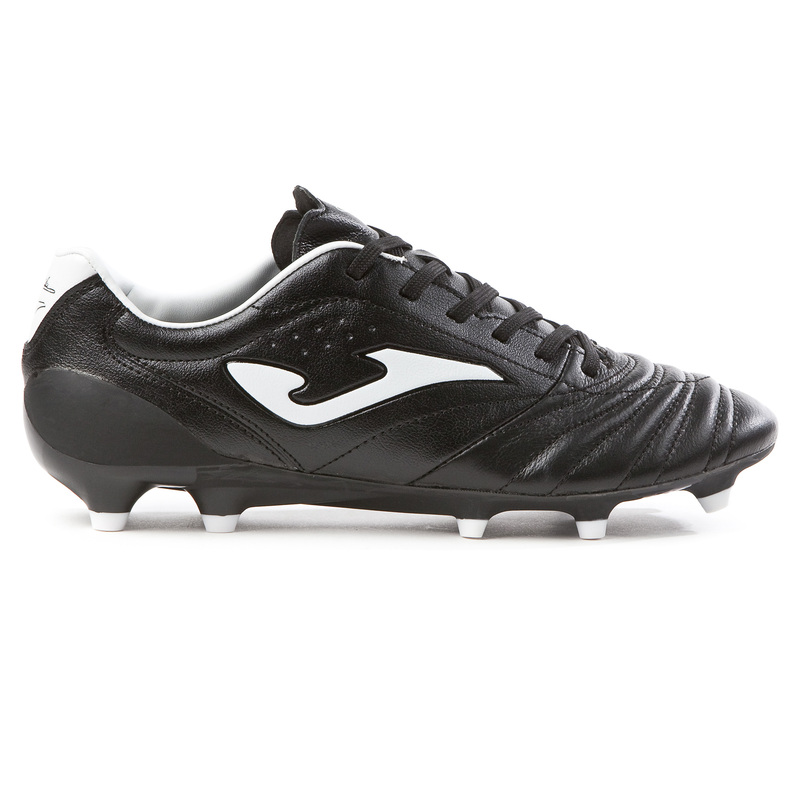 The Águila Pro are the most classic Joma boots. Made of modern materials, these are still the boots favoured by footballers thanks to, among others things, their waterproof leather upper. Classic football with the technology of tomorrow. Upper made of kangaroo leather - which is both water-resistant and lightweight - combined with high-quality fibre. With ONE PIECE seamless technology for a better fit and a lightweight style. With WATER RESISTANT technology, to prevent water from getting in, and M COUNTER technology, which consists of a counter in the heel to provide greater protection and comfort thanks to its ergonomic shape. Pre-moulded EVA insole which adjusts to the shape of the foot. Sole made of high-quality nylon, the most lightweight sole from Joma, designed for elite football on natural grass. Known for its light weight of only 52g. UNIQUE is made up of two different densities which allow for the torsion and flexion of the foot when required, in this way avoiding deformities and possible injuries to football players. With an exterior counter to support the heel. Multi-stud sole: A sole designed for elite football on natural grass. Made up of two different densities, which allow for the torsion and flexion of the foot when required to prevent deformities and possible injuries to footballers. A rigid sole with an exterior counter and a weight of 52g.